The frontier science expedition is only beginning. When you’re 600 miles away from land, hunting for a lost continent aboard a ship in the Tasman Sea between Australia and New Zealand, the blue-black waves won’t offer any clues. Days on the JOIDES Resolution are spent eating Filipino food, waiting for the next day’s experiments, and analyzing fossils unearthed from the seabed. For Gerald Dickens, Ph.D., the co-chief scientist on the recent expedition to Zealandia — the submerged hunk of continental crust that sank after breaking off Australia — the journey, and its aftermath, has been a mix of wild, often inexplicable emotions. For two months, Dickens, along with 30 other researchers and 20 crew members, probed the 5 million square kilometers that belong to what’s considered the world’s eighth continent. Some 94 percent of Zealandia is underwater — its visible crust previously thought to be scattered islands of New Zealand and New Caledonia. It wasn’t until 1995 that scientists became vocal about how it could be a continent, and it was just back in February when scientists announced they had enough geophysical data to confidently say the stretch of separated crust deserved the title. When the team set out in July aboard the JOIDES Resolution — a massive research vessel equipped with a drill pipe that can retrieve thousands of feet of sediment — they became the first crew to expressly go to an unexplored continent and bring back evidence of what its existence means for the geological record and our future on Earth. The cores Allan is referring to are the 8,202 feet of sediment cores collected at six Zealandia sites, drilled samples containing layers of Earth that could reveal how the geography, volcanism, and climate on the continent changed in the last 70 million years. At six sites, the scientists drilled 4,101 feet down into the seabed, ultimately collecting the 8,202 feet of sediment cores. To drill, core barrels are lowered into the drill pipe and a huge amount of pressure via compressed water is applied, which allows the barrel to collect 9.5 meters of core every 90 minutes. The inner core barrel, about the width of a paper towel roll, which contains the core, is then pulled back into the ship. Drilling cores are the modus operandi for the JOIDES Resolution. As one of the world’s most advanced scientific drill ships, it’s part of a fleet used by the International Ocean Discovery Program, a global marine research program whose expeditions are staffed by scientists from 23 countries. The data collected, however, is open access to all scientists hoping to study the samples, and the cores collected are later housed within repositories in Germany, Japan, and the United States. Researchers examine sediment cores from the submerged continent of Zealandia. The red dots are the primary sites explored in the Tasman Sea. Ball’s Pyramid, part of the submerged continent of Zealandia. The dug-up soil samples will first go to the repository and lab at Texas A&M University, where scientists will analyze their chemical composition, before being shipped to the Kochi Core Center in Japan. Scientists hope to determine from the cores, and the several hundred fossil specimens contained within them, a detailed record of Zealandia’s past and hints on how the Earth’s climate has evolved over millions of years. Mundane here is relative: Portions of Zealandia have been underwater or slightly visible for thousands of years. About 85 million years ago, it split from the massive continent that also consisted of Antarctica and Australia. “The best way to visualize it is to say 35 million years ago, there were crocodiles living on Antarctica,” Allan says. 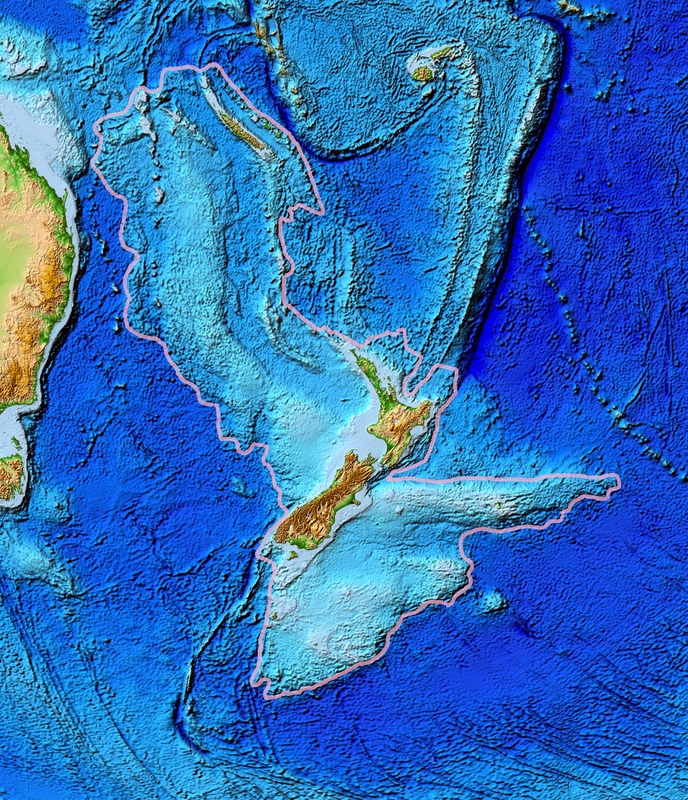 A massive plate movement called “seafloor spreading” created the Tasman Sea, lifted New Zealand above the waterline, and developed a new arc of volcanoes. Analyzing Zealandia’s cores will hopefully demonstrate how plate subduction begins, and the timing and cause of this change. The cores also have the potential to reveal changes that have happened in the Earth’s ocean circulation and climate, and its inclusion into climate models can help scientists create more accurate models of ancient climates. Between 16 to 45 million years ago, levels of carbon dioxide were as high as the levels predicted we’ll reach by the end of the century. Sediments, microfossils, and geochemical data collected for cores can reveal what life was like during these years of high CO2 conditions — and indicates to scientists what we should be prepared to experience. Dickens says it will take a few years before the first findings can be presented, and predicts that there will be at least two drilling expeditions returning to Zealandia over the next 10 years if there’s support for it. What’s been found is scientifically exciting, but the exact importance remains to be revealed. There are likely more clues about the planet’s past waiting to be collected. “I think also that we did not fully recover what we could have, now that we understand the records much better,” Dickens says.